Three Melbourne properties belonging to the estate of architect Walter Pollock have been sold. A commercial property portfolio belonging to renowned architect, the late Walter Pollock, will be auctioned throughout May. The trio of properties in inner-city Melbourne will be offered over eight days, almost six years after the Austrian-born World War II survivor passed away. 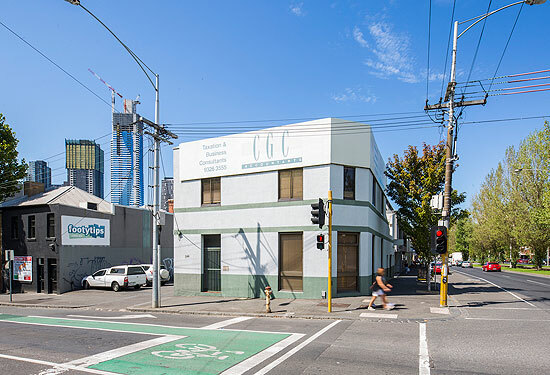 A property at 182-188 Clarendon St in South Melbourne will be the first to go under the hammer as part of Pollock’s estate on Thursday, May 5, followed by another site the next day at 341-345 Queensberry St, North Melbourne. A third property at 59-61 Park St, South Melbourne, will be auctioned a week later on Thursday, May 12. The portfolio is being marketed by Fitzroys agents James Gregson and Michael Ryan. Born in Austria in 1920, Pollock and his brother arrived in Australia in 1940 after becoming separated from their parents during World War II, and survived a torpedo attack on their boat – in which 1000 people drowned – while en route to Canada. While studying architecture at Melbourne University, Pollock was asked to collaborate on the design of the Australian National University in Canberra, and he later won plaudits for his home designs. 182-188 Clarendon St in South Melbourne features three street frontages. Throughout his career his clients included an acting Prime Minister, the Governor General and other politicians. 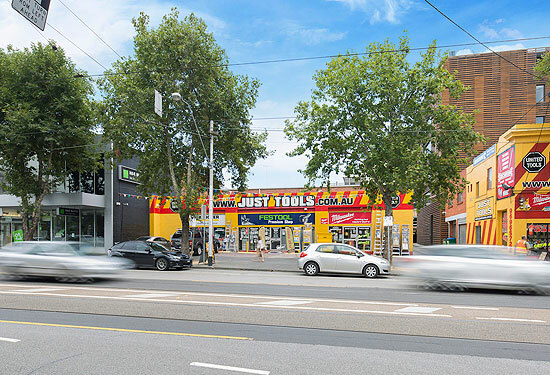 Pollock’s first property for auction at 182-188 Clarendon St features a 300sqm retail space on a 420sqm site, with three street frontages and a significant short-term income. Gregson says the commercial-zoned site has development potential. “The site has a potential height limit of six stories or 23.5 metres with no setbacks, or up to 19.5 metres over circa five levels,” he says. 341-345 Queensberry St sits on 370sqm of land and has three street frontages, a two-level freehold and an on-site car park. The property at 341 Queensberry St has development potential for 13 levels. “Offered with significant short-term income, the property is zoned Capital City and has excellent development upside (STCA) with a 40-metre height limit circa 13 levels, and strategically located close to the university precinct, representing an incredible opportunity to capitalise on a rare prime inner city location,” Gregson says. The third building at 59-61 Park St sits on the corner of Kings Way and is subject to a three-year lease with a three-year option, with a current rental return of $103,415. Ryan says the site has 100,000 vehicles pass it each day. “This site represents a remarkable chance to gain a high-exposure presence on a key arterial with scope to develop an iconic inner-city checkpoint site,” he says.